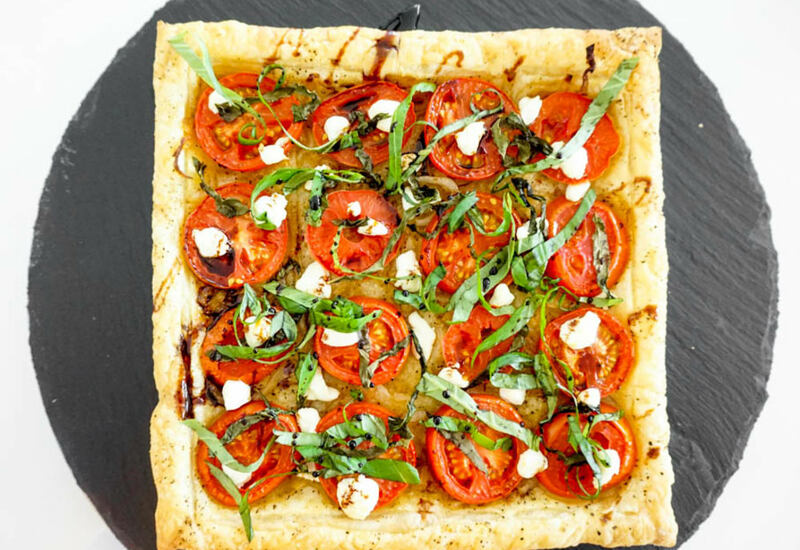 Use a frozen puff pastry to make this deliciously savory and decadent tart topped with caramelized onions, tomatoes, goat cheese, and basil for a great party appetizer or a upscale take on pizza night. 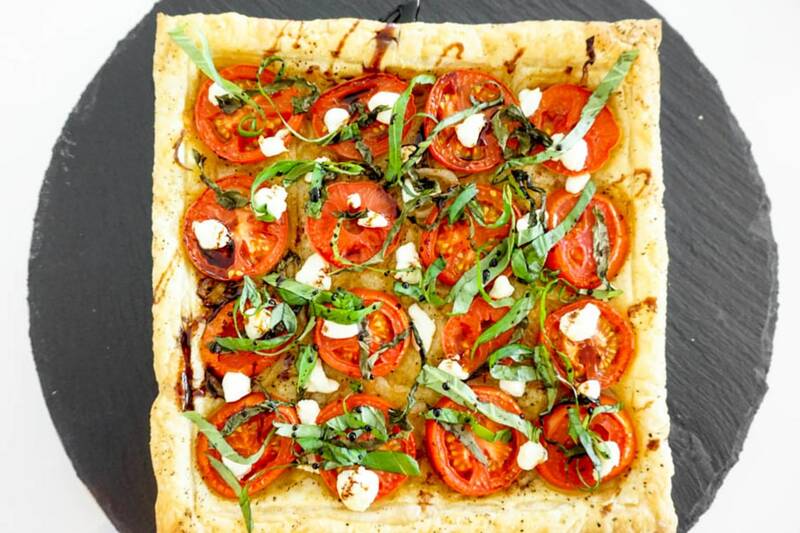 If pressed for time, you may thaw the puff pastry at room temperature, but doing it slowly under refrigeration is ideal to retain the best texture. Per Serving: 145 calories; 9g fat; 11.7g carbohydrates; 3g protein; 11mg cholesterol; 227mg sodium. I made this tart for my wife, and she loves all of these French-insired pastry dishes. She was really impressed with the way it turned out. The balsamic vinegar and goat cheese crumbles take the flavor to new heights. We love having this instead of pizza on Friday nights. 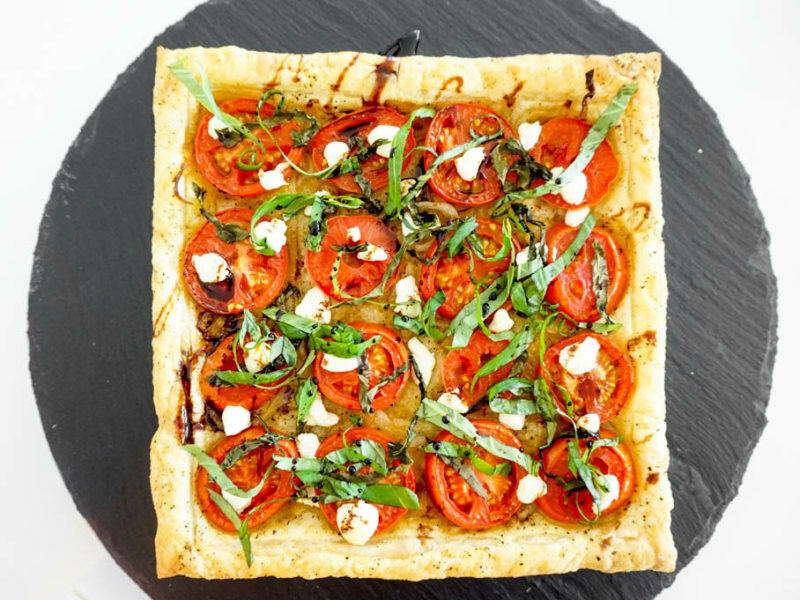 I made these fancy pizza style tarts for a party we hosted at our house and it was really good. The presentation was amazing, but it also tasted delicious and was perfect as an appetizer. Next time I'd like to add smoked salmon on top.